Nahri lives on the streets of Cairo, surviving by conning people with tea readings, healings, and any other scams she can make work. Her remarkable facility with languages makes her incantations seem more realistic when she conducts a ceremony to evict a spirit possessing a young girl and suddenly she gets real results and a big, beautiful, djinn appears, summoned by her singing. 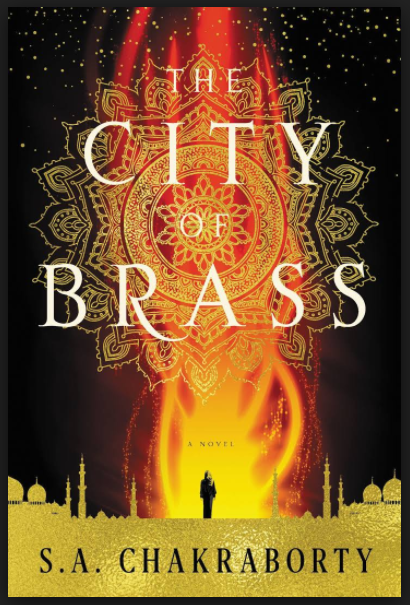 Having actually conjured magic, Nahri is pursued by murderous ifrit and her only chance to live is to make it to Daevabad, the city of brass, a city hidden from the rest of the world. 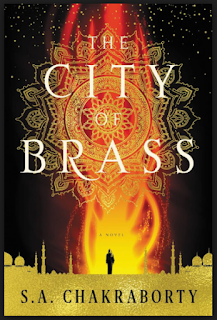 This fresh epic fantasy is set in a richly imagined world of Islamic myth with twisty political machinations. One of the best fantasy novels of the year. This one is going on my top ten for the year.